Matches in the Edinburgh Leagues for this season are now complete. The first team playing in Division 1 has won one match, drawn three and lost six matches and with other results going against us means that we are relegated to Division 2 for next season having finished bottom of the league. However the team is determined to win Division 2 next season and bounce right back up the following season. In Division 3 our second team has won two matches and disappointingly lost the remaining six finishing up seventh out of nine teams. This does not fairly reflect the strength of this team and they will be striving to improve their performance next season. In the same division our third team has played eight matches loosing seven but rising to the occasion and winning the last match against our closest rivals. This means that the team does not finish bottom of the division finishing eighth out of nine teams. This season some of the matches were agonisingly close and we have not suffered a whitewash or needed to call on second team members as in previous years. This team has given more members competitive games an important objective of the club. 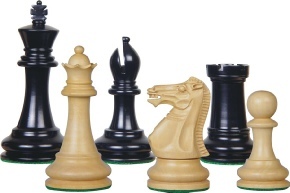 In the Chess Edinburgh Allegro League our team struggled to find a good balance and were often well out-graded. We finished second bottom of the league winning two matches drawing two and loosing eight. However all our playing members thoroughly enjoyed this competition with its shorter sharper rate of play. The team in the Scottish National Chess League, SNCL, which plays in Division 4 finished the season in a commendable fourth place in a league of twelve teams. This competition is played roughly once a month during the winter on Sundays in Dunfermline. It gives members an opportunity for additional competitive games. The team played seven matches winning four drawing one and losing two with a team average score of 61%. The club championship is progressing with three members progressing into the semi-finals, Graham Wilson, Brian Gourlay, and Alistair MacNaughton. Analben Mehta and Ernesto Salvatore have to replay to find the fourth semi-finalist. In the bottom half of the draw Alistair MacNaughton has subsequently won his semi-final game with Brian moving him to the final round due to be played by mid June. We will be soon asked to enter a team or teams in the Chess Edinburgh Summer Cup competition played between April and July. This is a handicap competition for teams of six players played in the off-season and the teams with the highest graded players do not always win. In fact the Tiger Cubs team with inevitably large handicaps up three quarter game points are always very difficult to beat.